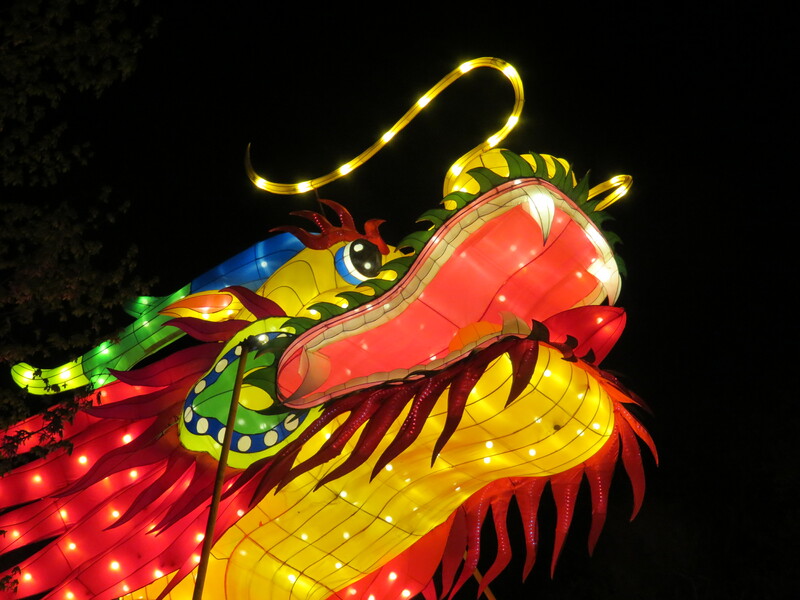 When the Chinese Lantern Festival came to Norfolk, Virginia, my sister and her family reported back that the display was amazing and not to be missed when it comes to Philadelphia. On opening night, the display was spectacular, illuminating over seven acres of Franklin Square! Artists create the lanterns using cloth and heavy wire, creating a mosaic-like effect. In addition to light shining through the cloth, thousands of LCD lights outline some of the designs. Against the night sky, the colors looked brilliant. Wheels whirled along one of the pathways, and a two-hundred foot dragon glowed with yellow and red. The festival marks the beginning of the Chinese New Year, typically held around the beginning of February but postponed in Philly to April for friendlier weather outcomes. Not to be missed: a ride on the carousel . . . for all ages! Spinning around while riding the horses, viewing the kaleidoscope of colors, truly a magical moment.